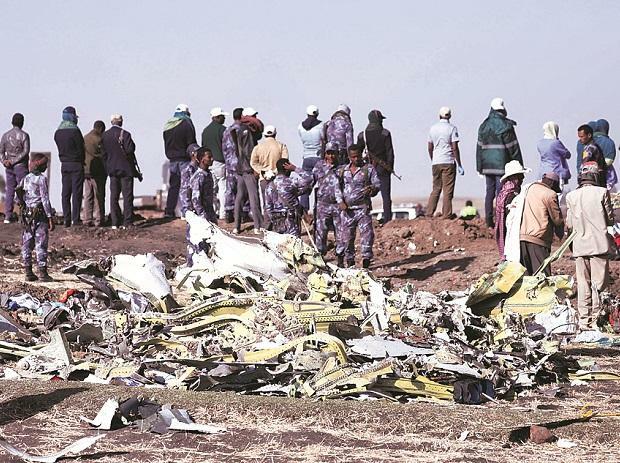 Investigators will release on Thursday a keenly awaited report on the deadly crash of an Ethiopian Airlines jet, Ethiopia's Transport Ministry said, giving the first official clues to the second crash of a new Boeing 737 MAX in five months. The March 10 disaster prompted a worldwide grounding of Boeing's best-selling plane and scrutiny of its certification process. Boeing said on Wednesday it successfully tested an update of the MCAS anti-stall software that is at the centre of probes in both the Ethiopian crash and October's Lion Air accident in Indonesia that together killed 346 people. Boeing said its CEO Dennis Muilenburg joined the Wednesday test flight and that the flight crew performed different scenarios to test failure conditions. "The software update worked as designed, and the pilots landed safely at Boeing Field" near Seattle, the company said in a statement. The U.S. Federal Aviation Administration said it is launching a new review of the 737 MAX. MCAS was designed to help prevent an aerodynamic stall by issuing commands to push the plane's nose lower. However, in both cases it is suspected of firing up in response to faulty airflow data from a single sensor designed to measure the "angle of attack," a parameter needed to avoid stalling or losing lift. Aerospace analyst Bjorn Fehrm said in a blog post for Leeham News that pilots may have deliberately re-activated the system in order to make it easier to control the aircraft only to be overwhelmed by rapid counter-moves from MCAS. Investigators will also look at whether the crew carried out all necessary procedures, including a recommendation to stabilise the plane using the control system before turning the crucial software off. The pilots manoeuvred the plane upwards at least two times before hitting the stabilizer cut-out switches to disable the system, one person familiar with the matter said. Boeing shares closed down 1.5 per cent. They have lost more than 8.5 per cent since the Ethiopian crash. The chief executive of Norwegian Air, Bjoern Kjos, who is a former fighter pilot, said on Wednesday he tested the old MCAS flight control system versus the new one in a MAX simulator "under a malfunction," and said it appears to be foolproof. The FAA's review of the MAX will be headed by former National Transportation Safety Board chairman Christopher Hart and include experts from the FAA, NASA and international aviation authorities, including Canada. A spokeswoman for the Canadian government said it will be a part of the review to ensure safety of the MAX.